That’s horrible. At MPOW, we recommend Data Doctors on Rt. 9 to everyone who has hardware problems with their personal computers (we do fix work-owned computers, and the folks who do that are the ones who rec. Data Doctors.) I’ve heard nothing but good about them. Yikes! So glad I read this before ever using them. They are less than a mile from my workplace and we’ve considered bringing stuff there before. Sounds like they’ll be out of business pretty soon with that reputation. That’s terrible! PC Healthstop on Route 9 is a good, reputable computer shop – it’s been in business under this name and a prior one forever. It’s just after Uncle Cheungs and right in front of Bronzetti’s. Ask for Gary – you won’t be sorry. I was just saying to my husband we need to get the other computer up and running for our teenager to use as it just needs a tune up. I know where I won’t be bringing it!! Thanks for the update. This is a great sight. Thanks for posting about your experience. Hopefully it will save somebody else from suffering a similar fate. Have you thought about writing the Better Business Bureau? I’m sorry you had to deal with those jerks, Michelle. I think you’d be doing everyone on Framcom a favor if you’d send an email to the list about this awful experience. Chances are, it will start a conversation on the board and maybe something good will come of it (like maybe the store guys will be contacted and invited into the discussion). I DON’T WANT SCUMBAGS DOING BUSINESS IN FRAMINGHAM. They hurt everyone. I’ve been thinking of starting an evening business doing pc house calls to fix peoples computer issues. I live in Framingham. I wonder how many of you would be interested in such a service? I’ve been thinking of putting together some market research but am a little intimidated from the aspect of starting up my own business. Hey Osiris, do you need another man to help cover more ground? If you do, please reply here. I would love to get into the business to and get the experience I need to be a network/system admin one day. And thanks Michelle for this post, you’re really helping out the community at large. Well, if i ever get it off the ground I’ll let you know! I’ve never started a business before, so its all new to me, and I still have a day job, so its slow going right now. The benefit of such a business, however, is theres very little overhead or startup costs, since there is no office to rent. I’m thinking to start with things that don’t require hardware, like pc-tuneups, setting up internet security, etc… and see how it goes from there. I hear you. I live in a place where rent is cheap and that some people run their business out of it. It’s kind of an idea of mine to take advantage and cut overhead as well. But I hear you, at out small and then aim bigger. Sounds good! Not only that, I would like to work for someone who has integrity. I know it doesn’t keep people warm and sane, but it does help me sleep at night knowing people get good service and new parts without being charged a whole lot. Sorry that you had to endure that, M.
I doubt that Sun has any stake in that business, not that that justifies the horrific service and attitude. Hit them where it hurts; people do sometimes consult the BBB and local chambers of commerce before doing business with companies. I live and work in Framingham and have been providing computer, network, and technology services to homes and small businesses in the area for almost 5 years. 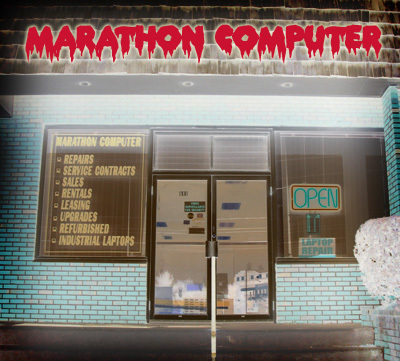 I regularly hear horror stories about several of the local computer shops, some related to incompetence, some to outrageous prices, and some to outright lies. I recommend always doing research up-front to find reputable businesses. Ask your friends and acquaintances. Services like Angie’s List can also be a great resource. As a part-time IT guy and fulltime geek I find that all the PC service shops outside of the Metro Boston area seem to be lacking in one way or another. Most of these stores have very limited inventory and build computer systems that are overpriced. This post isn’t to bash any one particular shop but to open your mind to online alternatives. I find that I save a minimum of $100 on a low-end computer system by shopping online and can put that savings toward support for a real IT person who truly knows the ins and outs of hardware and software. If you are looking to purchase a computer and have any questions, or are in need of any support feel free to drop me a line!